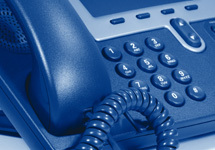 Dewberry Telecoms and Data was formed by an experienced team of telephone and data engineers. Operating across the East Midlands, we are ideally positioned to provide a wide range of data, networking and telecoms services to domestic, industrial and commercial clients throughout the East Midlands area. Contact our Engineers today and ask for an estimate. Our telephone and network engineers will happily organise a site visit at your nearest convenience. We endeavour to attend urgent faults on the same day. 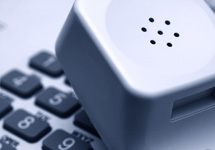 Supporting both commercial and domestic clients, we undertake phone installations, system repairs and maintenance work at highly competitive prices. From wired network installations and data cabling services to the design and implementation of access control, Dewberry Telecoms and Data will meet your needs with confidence. As your local, independent data and telephone engineers, we understand the importance of delivering a reliable and cost effect service. Welcome to Dewberry Telecoms and Data, an association of data engineers and telephone engineers across the East Midlands. 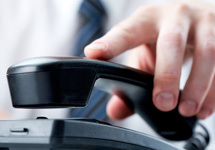 Serving both commercial and domestic customers, we offer a comprehensive range of telecommunication services across Nottinghamshire, Derbyshire, Leicestershire, Lincolnshire and many surrounding areas. 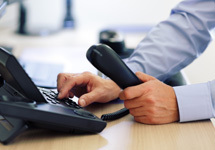 With years of industry experience, we undertake phone system installations and maintenance work as well as networking and data cabling, broadband services and controlled access solutions amongst many others. Whether you are having problems with your home or business phone line, or are considering the installation of a wired network in your office or home, the team at Dewberry Telecoms and Data can help you. Simply call us to discuss your requirements in a little more detail and one of our engineers will be happy to give you an estimate. Exempt From VAT- We Pass The Savings Onto You! Operating as a team of sole traders, Dewberry Telecoms and Data is exempt from paying VAT. This allows our telephone engineers and data engineers to carry out all installation; maintenance and repair work at a significantly reduced cost compared to our competitors. Why Dewberry Telecoms and Data? Since our formation in 2005, we have continued to grow our business from strength to strength. With customer satisfaction at the front of our trading practices, we gain the majority of fault referrals, installation and Maintenance work through repeat custom and positive referrals.